You might ask, “why should I combine a supplement like protein with a yummy dessert like chocolate?” Why not? 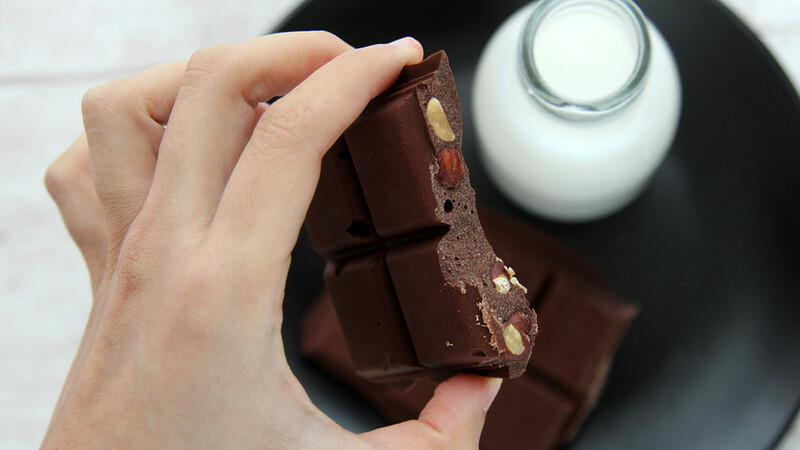 By combining protein with chocolate, you end up with a sweet treat that’s more filling and better for you. You can make your own protein chocolate using any type of chocolate you like: white, dark, milk, vegan, sugar freе. All you need for this recipe is your favorite chocolate bar, a scoop of whey protein, and your favorite extras (ideally nuts, but seeds or dried fruit work, too). Try it, It’s fun! All you need is some inspiration. Once the chocolate has melted, quickly whisk in whey and nuts. Pour mixture into a chocolate mold or a tray lined with baking paper. Let it set up in the fridge for a couple of hours, or the freezer for 30 minutes.